In the interests of professionalism, Members annually agree to adhere to the LNA's Code of Ethics. Provision of the framework to continue industry reform and in particular changing the adversarial nature of commercial dealings to that of the partnering concept of utmost good faith and fairness in such dealings. To observe the principles of the Code. Take every opportunity of rendering community service. It is believed that this essential element of Membership, serves to secure community trust. LNA's Ethics are about relationships, well informed conscience, true to the ideals of what LNA stands for, the courage to explore the difficult questions and acceptance of the responsibility. Ethical decision making will be based on relevant/significant facts; the discarding of assumptions, the weakness/strengths of positions, transparent results open to scrutiny and the consideration of the ends justifying the means. The outcome ought to be comfortable and one which may fairly apply to all. Ethical process ought to be one of reflection that all could agree to be scrupulously, honest, competent and sincere. A thorough credit and ASIC check is conducted on all LNA Membership Applicants, ensuring their financial stability upon admittance to the Association. 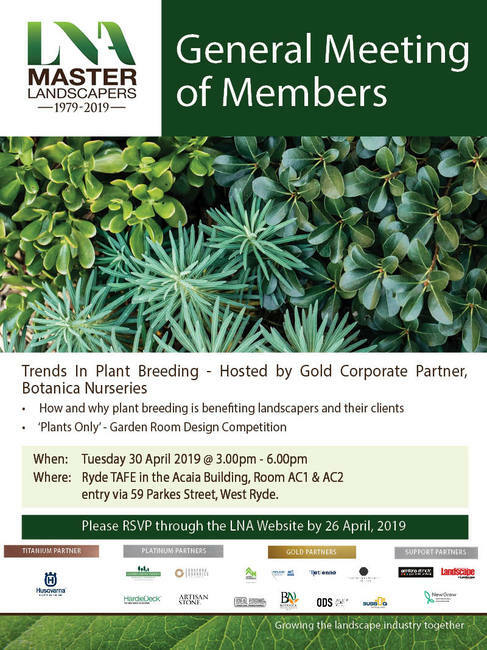 LNA Masters Landscapers Association - Association is the principal organisation representing Landscape Contractors in NSW and ACT and provides a forum for members, government, suppliers and related industry bodies to communicate to the landscape industry. 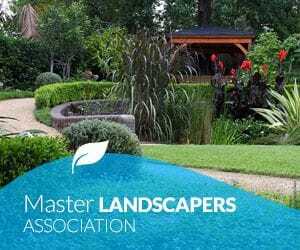 The organisation provides support and technical advice on matters relating to the management and operations of landscape businesses. The LNA is committed to achieving environmental best practice in its activities. This commitment will involve both the organisation and advice provided to members to strive in achieving Ecologically Sustainable Work practices. Promote and encourage a culture of reducing, reusing and recycling resources. Encourage the minimizing of waste generation and pollution. Encourage minimizing resource consumption including the use of raw materials, power and water. Comply with and promote current environmental legislation. Promote the conservation of biological diversity and ecological integrity. Promote the adoption of technologies and materials that will achieve environmentally sustainable results. Provide education for members and related professionals on current environmental best practice and the recognition that these will change due to legislation, climatic and other factors in the future. Review and monitor the organisation's environmental performance to seek improvement. The LNA comprises a wealth of knowledgeable and experienced professionals who have made themselves available for consultation in the unusual event where mediation may be required between an LNA member and their client. This effective process is a service offered initially free of charge with a view to prompt and amicable resolution.